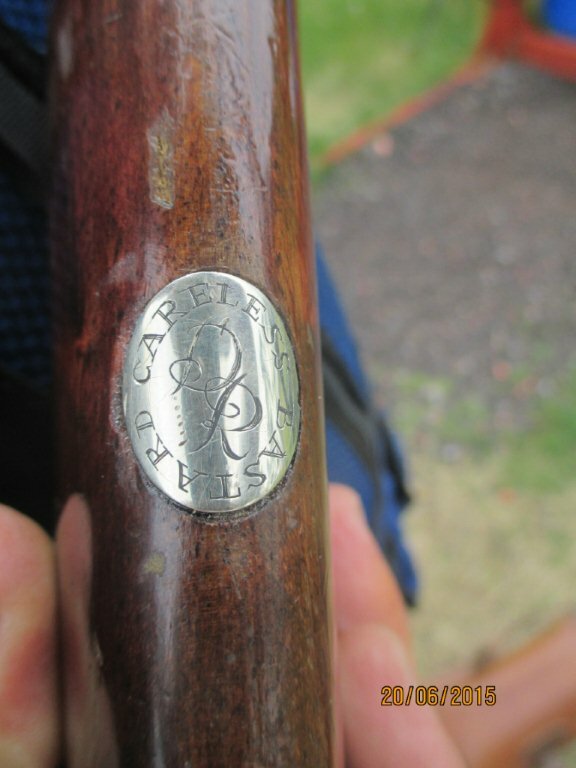 Out pigeon shooting, Derek propped his Ardesa 20 bore o/u against the hedge and turned his Land Rover to park it out of the way- you can guess the rest – a stock at 30 degrees to the barrel! 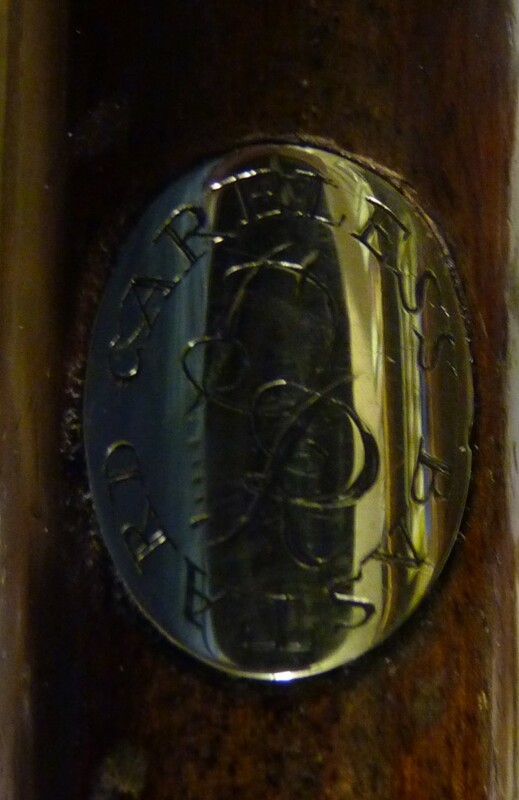 An amazing repair later by Chris Hobbs – the fibres of the wood had stretched 3mm & it was only possible to repair it because it was cheap wood – someone thought it would be a good idea to mark the event by engraving the escutcheon and it came to me for a little creative work before it got back to Derek………..
Not a very good photo, but you get the idea! New Land Pistol Hanover Converted. Repair and Restoration – what should I do?